Back when Poke Rafferty first arrived in Bangkok to write a travel guide, some of the old-timers in the Expat Bar on Patpong Road helped him make sense of the city. Now these men--many of whom have been living in Southeast Asia since the Vietnam War--have grown old and, in some cases, frail. When a talkative stranger named Arthur Varney turns up at the Expat Bar, they accept him without suspicion, failing to see that he's actually using them to get to Poke. Varney wants two things: money Poke doesn't have and a person Poke is unwilling to hand over. It quickly becomes apparent that there's nothing Varney won't do to secure his goals. 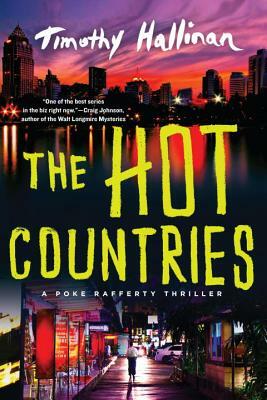 As his actions threaten the foundation of Poke's life in Thailand, the aging men of the Expat Bar discover that they might still be a force to reckon with. Timothy Hallinan has been nominated for the Edgar, Nero, Shamus, and Macavity awards. He is the author of eighteen widely praised books, including The Fear Artist, For the Dead, Crashed, Little Elvises, The Fame Thief, King Maybe, Fields Where They Lay, and Herbie's Game, which won the Lefty Award for Best Humorous Mystery. After years of working in the television and music industries, he now writes full-time. He divides his time between California and Thailand.